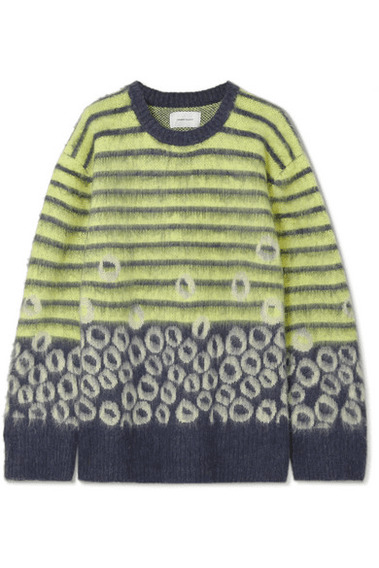 Current/Elliott says 'The Wes' is far from being 'your average striped sweater' because it's also spun with leopard spots. It's designed in graphic colors and knitted with a spandex-blend for a loose fit inspired by vintage finds. We like it best with the sleeves bunched - the ribbed cuffs will keep them in place, too.